Liebert Corporation has been an industry leader in computer room air conditioning (CRAC) systems. Founded in 1965 with the mainframe computer data-processing market in mind, Liebert CRAC systems were the first self-contained units capable of maintaining air temperature, humidity and air quality within precision tolerances. 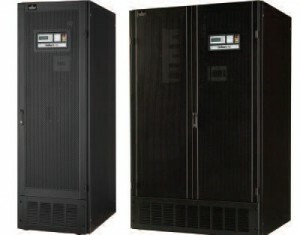 Liebert high density cooling systems are high capacity data center cooling enclosures. They offer total protection when they are combined with Liebert uninterruptible power and power strips. They are an ideal solution for applications where hot aisle/cold aisle approach is not practical. Energy-efficient and flexible high heat density Liebert air conditioners and system cooling solutions optimize data center infrastructure design. Liebert data center cooling solutions are available with open or closed architecture, and pumped refrigerant-based or water-based technology. Are you looking for a computer room air conditioning (CRAC) system? Make a call and contact the professionals at Cedar Valley Heating and Cooling. We’ll ask all the right questions and help you determine which one of the Liebert cooling solutions is best for you.